help to re-brand the week! Download the contest entry form. Check out the current logo for ideas! 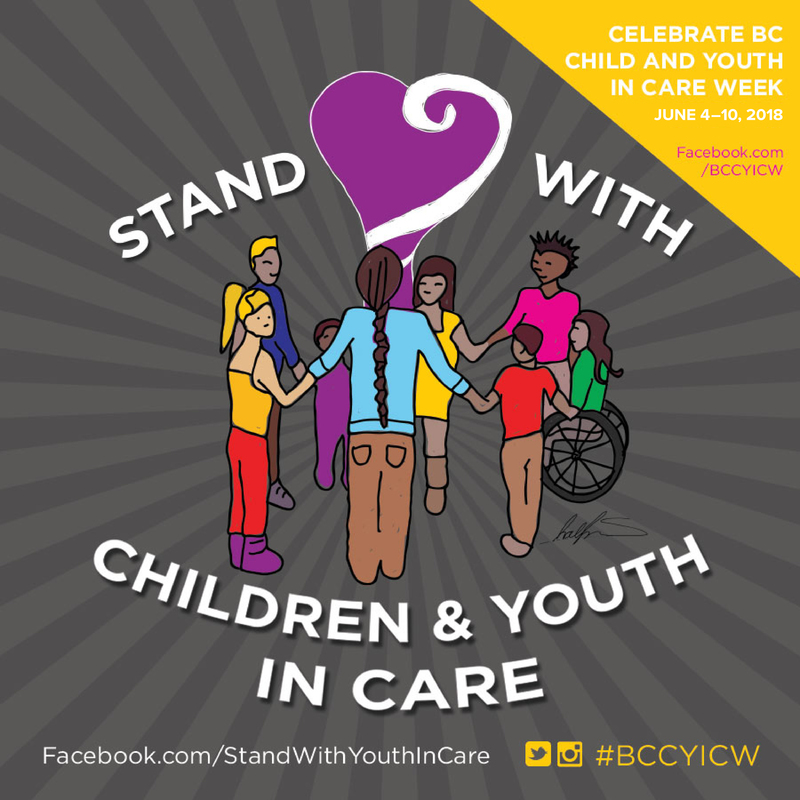 BC Child and Youth in Care Week is calling all current and former youth in care to submit their artwork with a title/slogan that expresses your own personal message about celebrating children and youth in care (it could be a drawing, collage, painting, or digital art piece) on 8.5″ x 11″ paper. The winner’s work will be featured in the committee’s posters and other communications for BC Child and Youth in Care week 2019, and the lucky artist will also take home a $100 gift card!